The following blog relates to a question posed by an inquisitive patient about teeth and dinosaurs. She was quite dumbfounded that I didn’t know the answer to how many teeth a Tyrannosaurus Rex had and as a dentist I felt it my obligation to remedy this situation to be prepared the next time I'm stumped by an 8 year old. It’s incredible to me that the modern anatomic form of humans today date back only about 200,000 years. 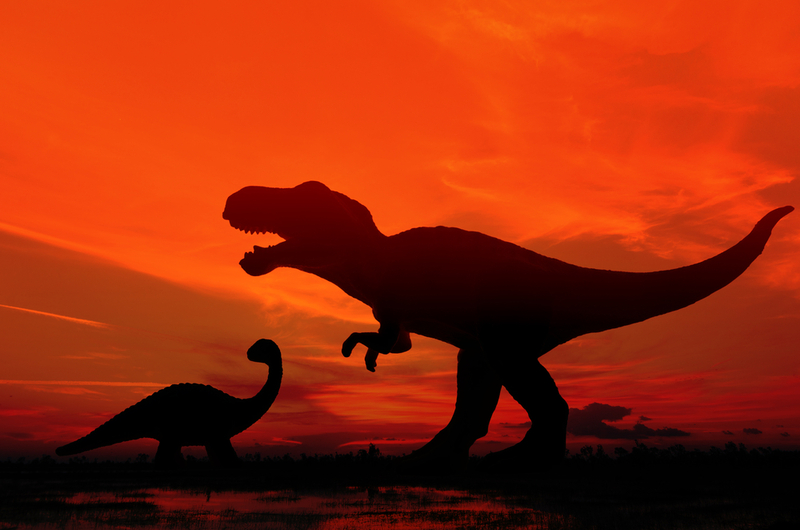 Despite what Jurassic Park may have you believe dinosaurs roamed the earth over 65-85 MILLION years ago. If you take a second to pause, as I did, and think about that number it’s absolutely amazing that we have fossils of these mammals to examine today. Dinosaurs in general were giant mammals that had a host of pressing conerns in their lifetimes with the primary one being: to survive. The most famous dinosaur was the Tyrannosaurus Rex. The name is derived from Greek origin: Tyranno (tyrant) saurus (lizard) Rex (King) --- The tyrant king of lizards. I visited the Field Museum in Chicago a couple of years ago and got to see an excavated T-Rex up close and being a dentist it made it all the more fascinating. In fact, Tryannosaurus Sue, as she is nicknamed in Chicago is the world’s most complete T. Rex skeleton with over 85% of the original skeleton. It was discovered by fossil hunter Sue Hendrickson in South Dakota who in turn sold the fossil to the Field Museum for a reported $8 million dollars. With a length span of close to 40 feet this king of the dinosaurs was a fierce predator that walked on two large powerful legs. Next to a school bus a T-Rex would be the same length and tower over it with a height of over 20 feet. The average length of a T-Rex tooth was a bone crunching 9 inches while the average length of a human tooth is just over ¾ of an inch. While a human tooth is more rectangular in shape, and has flat surfaces on the back molars, a T-Rex had 50-60 thick conical teeth that were meant for attacking prey and self defense. An average human male or female adult has between 28-32 teeth present. For us teeth are meant to be chewing, grinding workhorses. Before we had blenders and conventional cooking practices, our ancient ancestors had to forage and eat what they could no matter the conditions. Over time one can physically see how human teeth have become smaller and less robust especially looking at wisdom teeth. These teeth are anatomically smaller than other molars. Most scientists believe that as humans evolved we no longer needed these teeth to develop fully for survival. 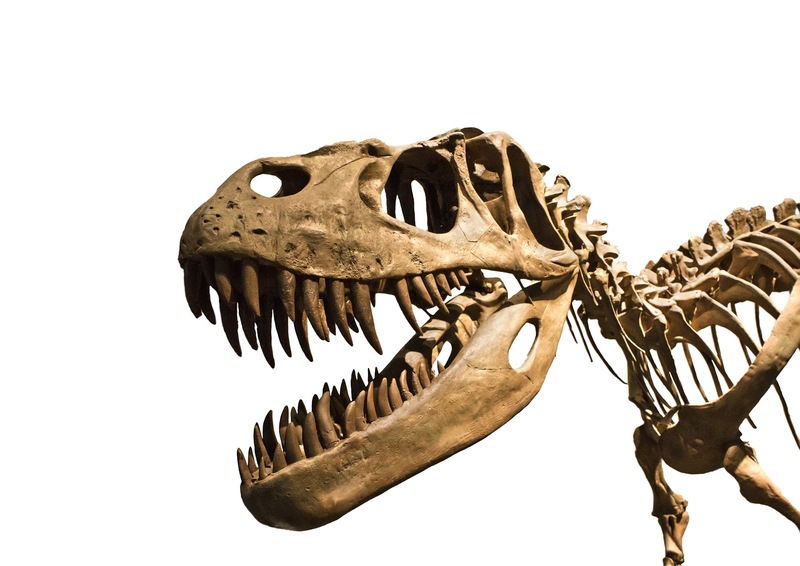 A human jaw is appoximateg 3.5 inches in length, the length of an average T-Rex was closer to 4 feet in length. For reference, a T-rex could have ate 500 pounds (About 3 average humans) in a single bite! 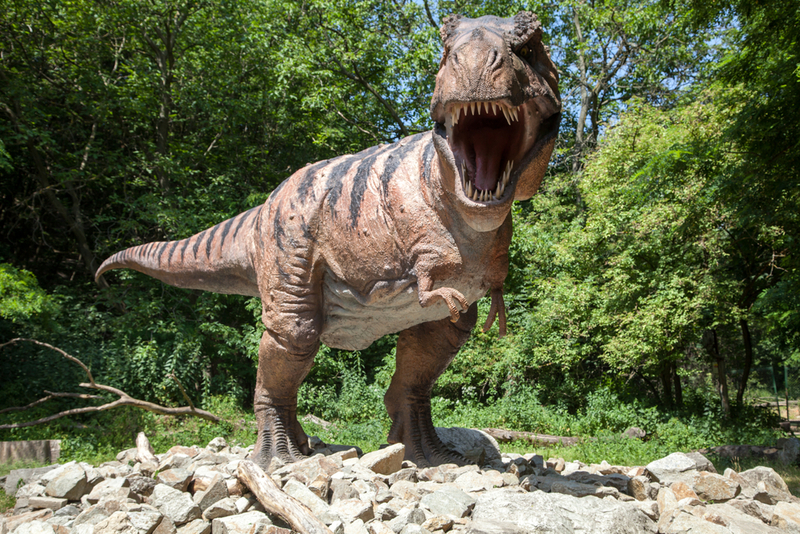 While on average a human can bite down with a bite force of 175lbs a T. Rex could chomp down with an astonishing 5000lbs of pressure. Scientists have determined that a T. Rex's jaw muscles grew larger and stronger faster than any other part of its body. So as a T. Rex grew over a lifetime it became an even better predator. When humans lose a tooth as a child we have teeth that end up replacing these lost baby teeth. On average a child has 20 such baby teeth that become replaced along with 8-12 additional teeth that form in the back. Once you have all these teeth you won’t have another one grow back. If you lose a tooth then we have to looking at placing implants, bridges or partial dentures to replace the missing tooth or teeth. The really cool thing about a T-Rex was once they lost a tooth a new one would form to replace the missing tooth. Considering that a T-rex was a carnivore and ate other animals for food this would have been a very useful adaptation. 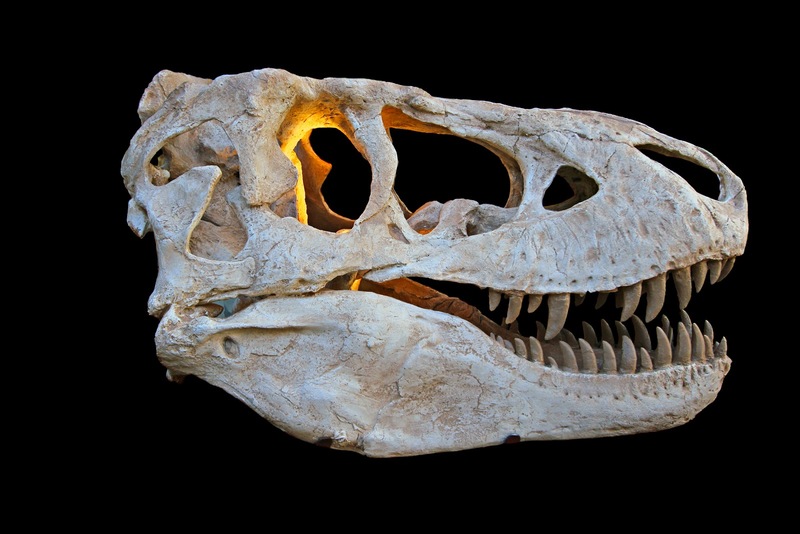 Why did T. Rex’s have such small arms when their jaws were so big? The answer is that no one really knows. It may be that with such an evolved jaw they could get whatever they needed from just clamping down on their prey but think about eating from your plate without hands! Would be a messy proposition. So these monsters of prehistoric history must have lived for hundreds of years because of their size and growth rate, right? Guess again. The average T. Rex lived approximately 30 years. Since they were the top of the food chain we can only assume that attrition, disease or famine would have been the undoing of a Tyrannosaurus Rex. Researchers now know that females were larger than the males by a few thousand pounds but it’s unclear whether their life span was longer or shorter. The land mass of North America is the largest repository for dinosaur bones in the world. 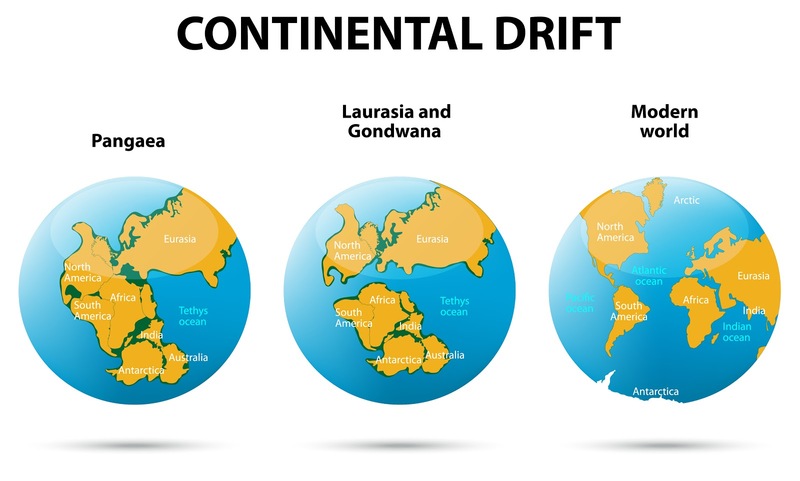 With the western portion the continent being the hotbed. While states like Dakota and Montana and the entire US continent also have the largest variety of dinosaurs in the world it’s actually Alberta, Canada that has the greatest number of species in one site. Canada’s dinosaur provincial park has over 40 species in one location. People presume dinosaurs all lived around the same time period as one big happy family. In reality the T-Rex’s lived approximately 65-85 million years ago but dinosaurs themselves actually lived in a much larger window: 220 to 65 million years ago. For example; if you wanted to find a Stegasaurus fossil you would need to find a rock almost 150 million years old. So how much are you going to get from the tooth fairy for a T. Rex tooth? A definite adult T. Rex tooth measuring at least 2 inches goes will net you approximately $2000 while a 2 inch juvenile T. Rex tooth will net more in the neighbourhood of $400. The average little boy or girl these days gets a mere $3.40 for a lost tooth. Thanks for checking out the blog and hope you learned something interesting, see you back soon. Click the link Lighthouse Dental Centre and like us on Facebook!